Are you struggling to lose weight no matter what you try? Or do you seem to gain weight much faster than you used to? Perhaps your metabolism is slowing down. A slowing metabolic rate is common as you age, but don’t panic – with improved diet and exercise your rate can climb back to a normal level. Hanson Fitness of New York has the experience to know the signs that your body is changing. Owner of Hanson Fitness and Celebrity Trainer Harry Hanson, who has trained stars such as Sandra Bullock and Tyra Banks, shares 5 signs that your metabolism could be dipping. 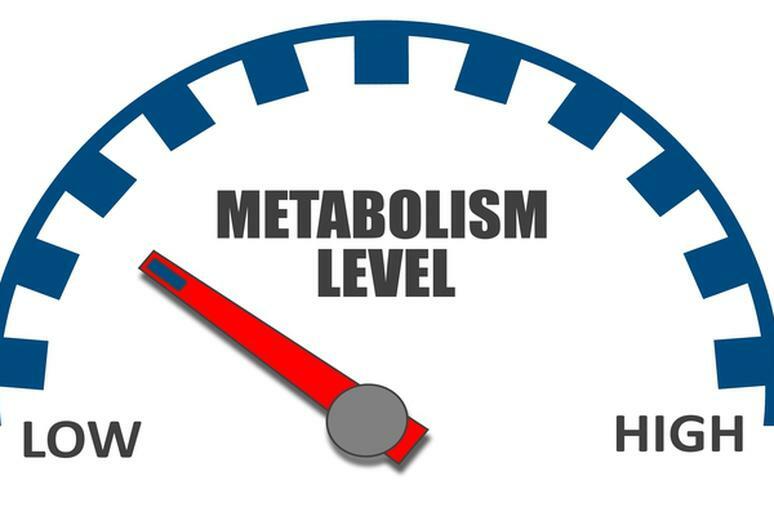 Metabolism is the process through which your body converts what you eat and drink into energy. While your food intake and physical exercise are the biggest determiners of your weight, a slowed metabolism can contribute to weight gain or extreme difficulty in losing weight. When your metabolism slows, you burn fewer calories and are more likely to keep weight on. Is your skin always dry and cracked regardless of how much moisturizer you use? Your metabolism may be to blame as the same hormones that aid in keeping your skin and nails healthy are the ones the control your metabolic processes. They are complementary and as such an imbalance in one can definitely be seen in the other. Dry, itchy, or even oily skin accompanied by discoloration, paleness or an increase in acne are sure signs of a metabolic deficiency. It’s perfectly normal to crave sugary things occasionally, but intense daily cravings, particularly in the afternoon, can be a sign of a metabolic imbalance. When your body’s blood sugar levels drop, you might find yourself craving sugar and calories to make up for it. In addition to regulating when stored fat is converted into energy, your adrenal glands keep your metabolism functioning properly. If your adrenal glands are upset and you find yourself craving sugar to make up for a lack of energy, it may be an indicator that your metabolism is affected as well. Plenty of things can make you feel tired, including obvious factors like not getting enough sleep and hitting the gym hard. But if you always feel tired, it could be a sign that your metabolism is slower as your body is not converting your food intake into energy quickly enough. If you just can’t shake the feeling, you should make immediate changes in your lifestyle. Although many things in life simply aren’t stimulating, (consider those boring meetings and stale conversations) you may have a metabolic issue if you find it hard to concentrate. Your brain survives off the nutrients your body brings in from the food you eat. If a sluggish metabolism is causing this conversion to impede your normal brain function, concentration and alertness will also suffer. In addition, without your usual mental clarity, the judgement and decisions you make regarding healthy behaviors could be negatively affected, too.